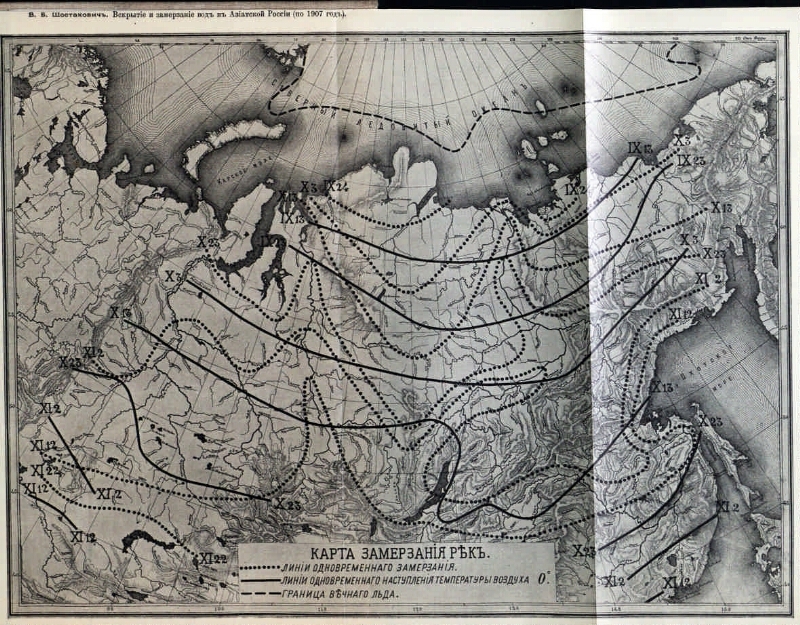 Opening and freezing of waters in Asian Russia (for 1907) [Maps] / VB Shostakovich. - [M-b unknown]. - No coloring of areas. 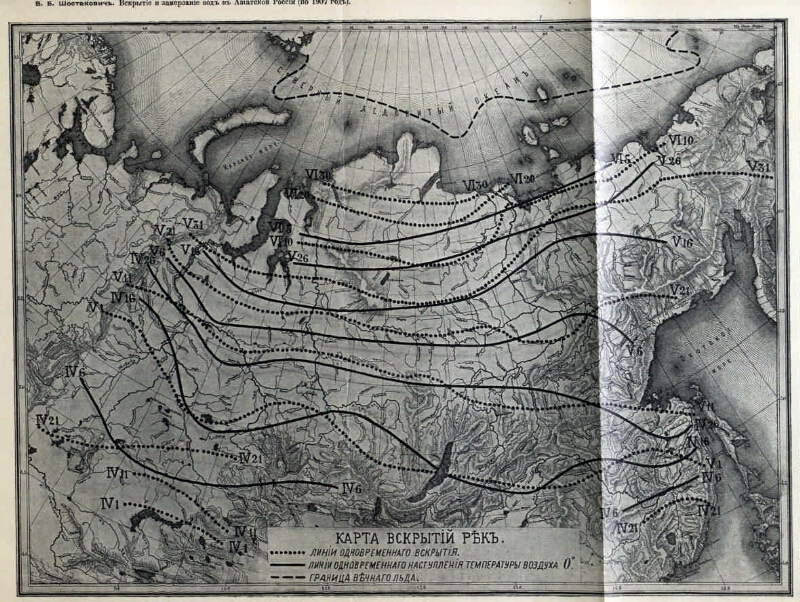 - Contents: Map of autopsies of rivers; Freezing river map . 1. Territory of Russia (collection). 2. Russia - Hydrogeology - Asian part - Maps. 3. Hydrogeological maps.